The Voice UK returned to our TV screens on Saturday 10th of January and will continue over the coming weeks. We’re going to keep in touch with the talent show as it progresses and keep our eyes peeled for potential betting value over the weeks. This is the fourth series of the UK version of the show, and last year’s judges Tom Jones, will.i.am, and Ricky Wilson, are joined this year by Rita Ora, who has replaced Kylie Minogue in the famous spinning chair. For those unfamiliar with the format of the show, it originated in Holland and has been successful the world over, with versions aired in America, Australia, and a host of other countries. The idea behind the show is that the contestants take part in ‘blind’ auditions, where the judges have their backs to the singers and therefore must assess them on their voice alone. When a judge likes what they hear, they press a button which turns their chair to face the artist as they continue to perform. Over the course of ‘blind’ auditions, each judge will attain 12 singers to their team and will mentor them through the rest of the show, which features a ‘battle’ phase, a knockout stage, and a final live show phase. The first blind audition show took place on Saturday night as the new series was launched, and there were several eye-catching performance. The bookies are already offering early prices on the contestants, despite several more blind auditions still to air (in series three last year there were seven blind audition shows). With that in mind, it’s tough to predict a winner, as there are plenty of singers yet to be seen, but there are opportunities to take some big early prices with a view to trading out at a later stage in the competition. Stevie McCrorie has been installed as the early favourite after wowing the judges with his rendition of Kodaline’s ‘All I Want’. All four of the judges turned during his performance, and in-keeping with the rules of the show, this meant that Stevie had the luxury of choosing which team he wanted to join. He elected to go with Kaiser Chiefs’ front man Ricky Wilson, and the firefighter will clearly be a popular contestant. 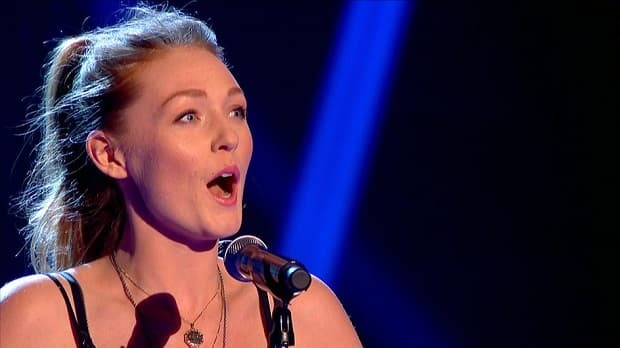 Hannah Symons sang ‘Powerless’, a song she co-wrote with Rudimental, and that had the judges purring for her writing and performing ability. Again all four turned their chairs for her audition, and again she chose to side with Ricky over the other mentors. Howard Rose impressed the judges with a stripped back acoustic version of The Who’s ‘My Generation’. It was enough for Tom and Ricky to turn their chairs, and the Manchester-based musician chose to be the first member of Tom Jones’ team. Restaurant manager from Coventry, Letitia George, gave a great rendition of Sam Smith’s ‘Stay with Me’, and that was enough for Tom, Ricky, and Rita to turn their chairs, with only will.i.am remaining unimpressed. She also chose to join Ricky’s team over the other judges. Lucy O’Byrne was another stand out performer on the night, and her performance of opera song ‘Ebben Ne Andro Lontana’ had Rita Ora and will.i.am turning their chairs. She elected to join will.i.am’s team, and looks a little overpriced at the odds. This may be due to her unusual classical performance, and the worry that the mentors may not know how to best use her voice, but she insists she is versatile enough to turn her hand to other genres. She appeared on series one of The Voice Ireland, where she made it through to the battle rounds as part of Kian Egan’s team. Three years later and there’s every chance the 23 year-old can at least match that performance or even better it, and at this stage she looks a good bet to go far in the competition. With a big price of 25/1 26.00 +2500 25.00 25.00 -0.04 there is scope for a big enough swing in the odds to lay off this bet for a guaranteed profit if she progresses through the battle and knockout rounds. Pianist Ryan Green was eliminated at the blind auditions in series three, when none of the judges turned around, but an improved performance (playing and singing Coldplay’s ‘Magic’) on Saturday night was enough for Rita Ora to turn her chair. She was the only judge to turn for Ryan, so he became the first member of her team by default. It’s very early to start betting on the winning judge, however, and this market may be best left until we’ve seen more of the artists and the teams start to take shape.